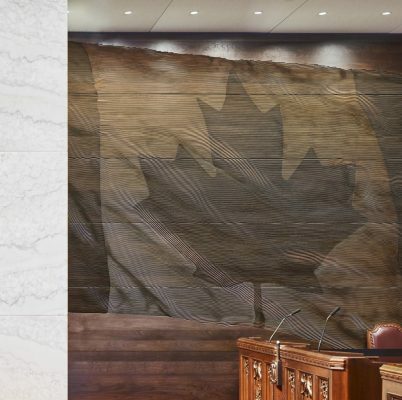 February 28, 2019, Toronto – A historic landmark in Ottawa has opened in a new role as interim home to Canada’s upper house of Parliament. 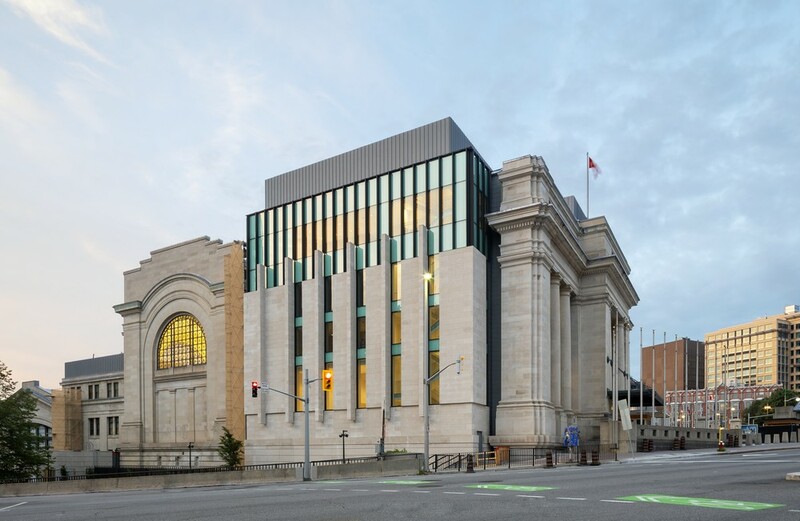 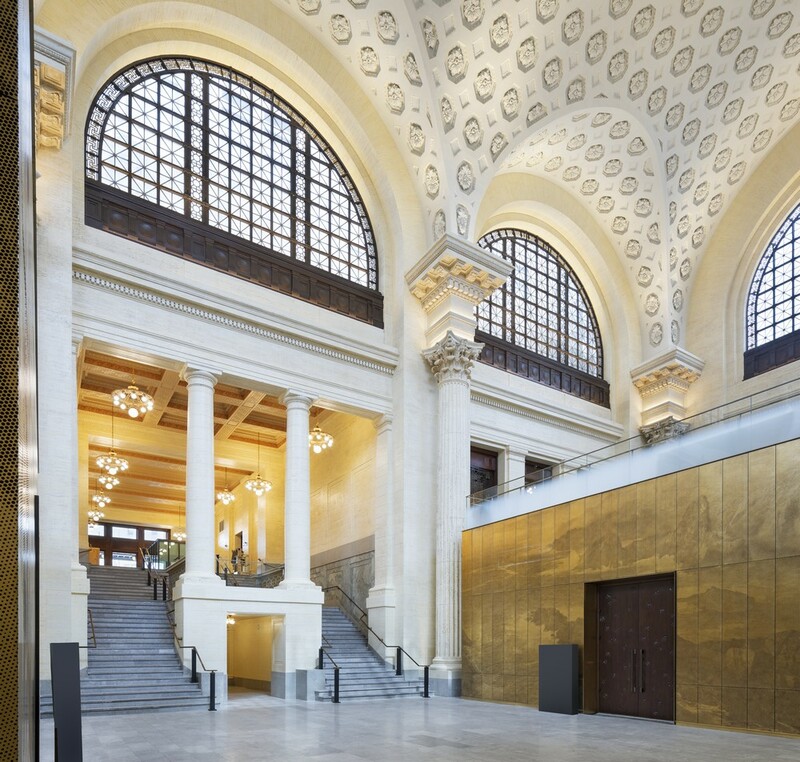 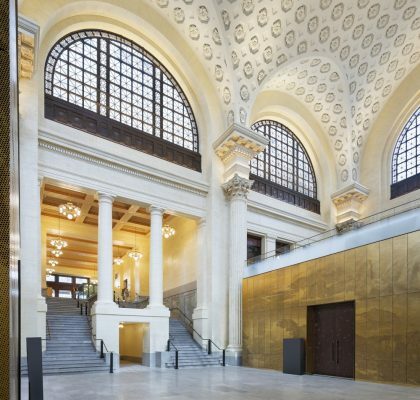 The Senate of Canada Building beautifully restores and transforms the Beaux-Arts central train station (1912) with an architecture and craftsmanship that both complements and contrasts the celebrated features of the original building. 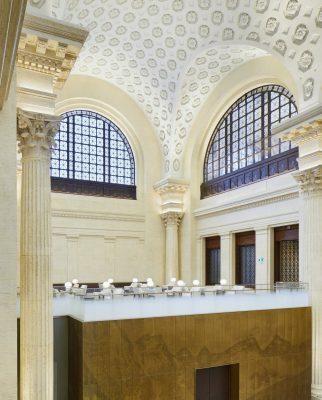 The design by Diamond Schmitt Architects and KWC Architects introduces a contemporary language of interventions and insertions within the monumental and finely detailed General Waiting Room and Concourse. 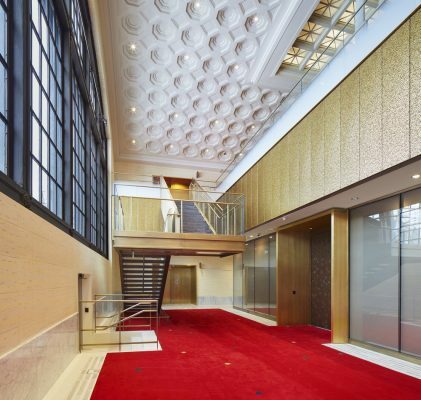 The program also adds committee and meeting rooms, offices and public space to a building that has largely been off limits to the public for 50 years. “This project provided a remarkable opportunity to investigate and engage in a range of design innovations to introduce a new program in a heritage building, to represent and raise the profile of the Senate’s role in Parliament, and to convey Canadian identity through contemporary interpretations of national symbols and iconography,” said Martin Davidson, principal, Diamond Schmitt Architects. 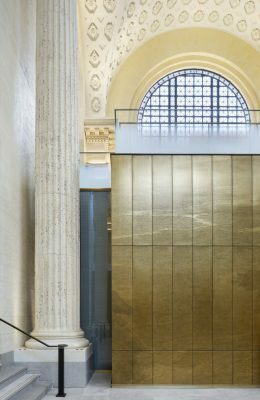 Working with the Dominion Sculptor of Canada and further employing digital technologies, a dialogue between traditional craft and contemporary fabrication techniques emerges to inform material selection and the design of myriad details. 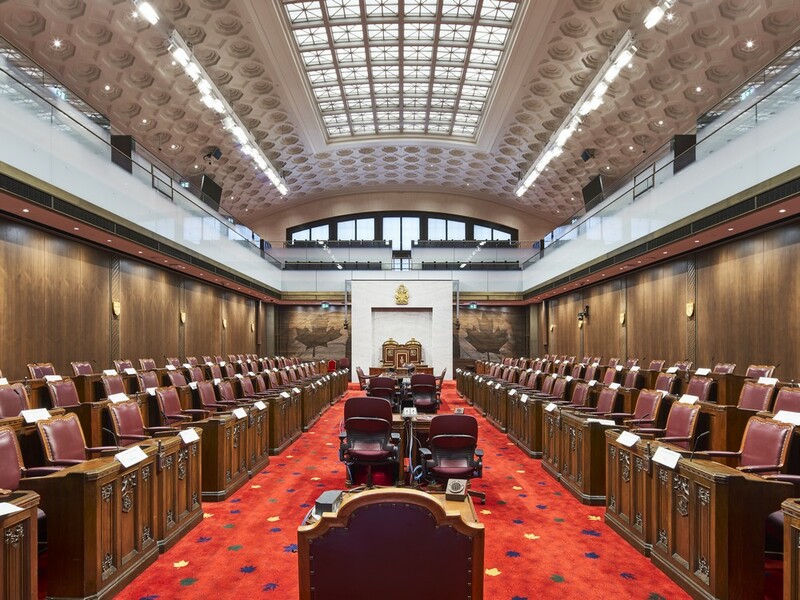 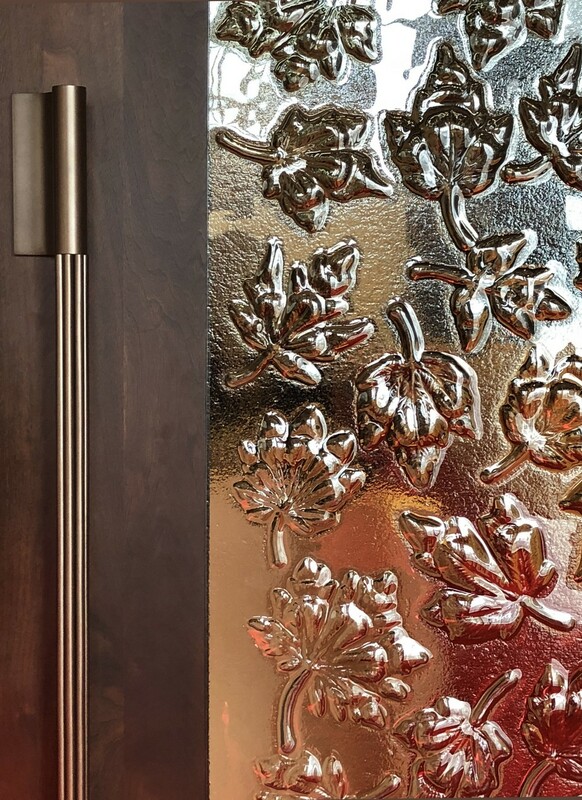 The leaf pattern of ten native maple trees are hand-carved, scanned, then CNC-carved and appear in the wooden doors to committee rooms and the Senate Chamber. 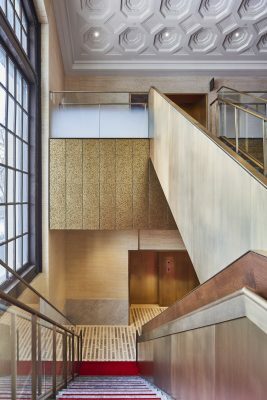 Perforated bronze panels frame committee rooms with large-scale photographic images of landscapes rendered as half-tone images. 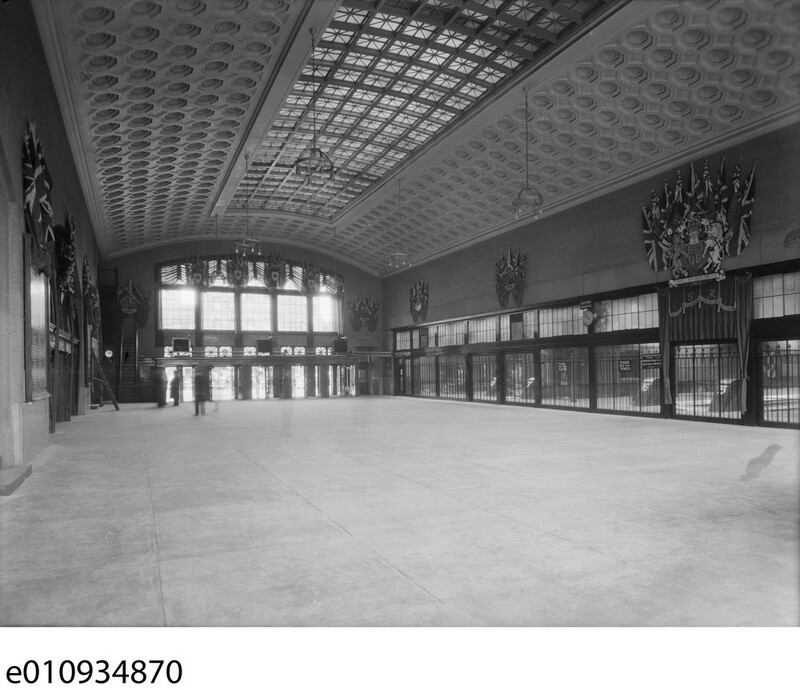 The most detailed design elements find expression in the Senate Chamber, the former station Concourse. 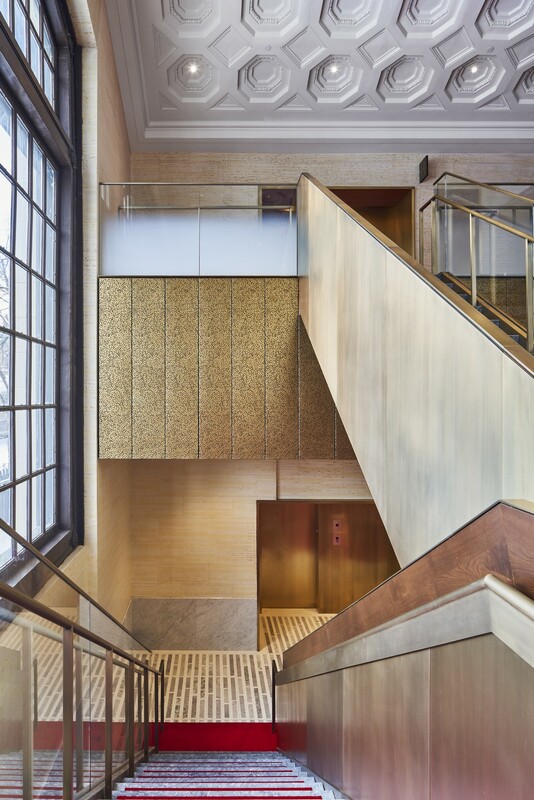 The building, which became the Government Conference Centre in 1973, required a complete overhaul of major building systems as well as compliance with seismic codes, accessibility, and life safety upgrades. 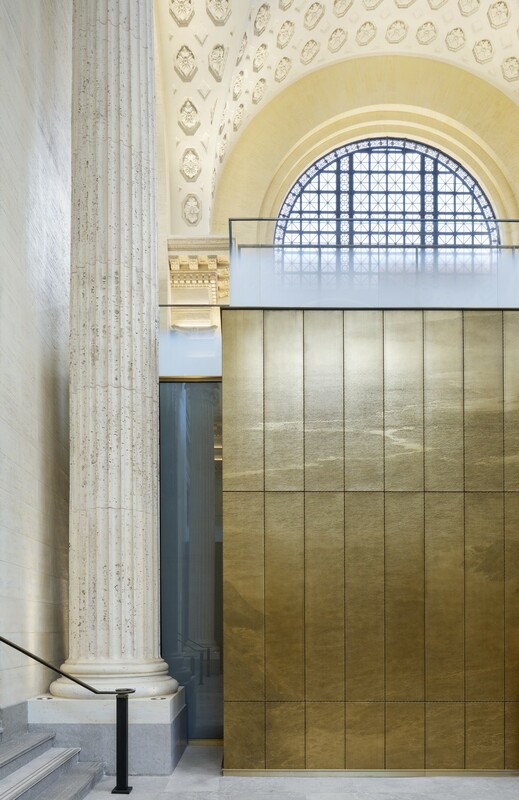 On the exterior, the long neglected blank east facade is now reimagined as a modern interpretation of the building’s stone-columned, Beaux-Arts facade. 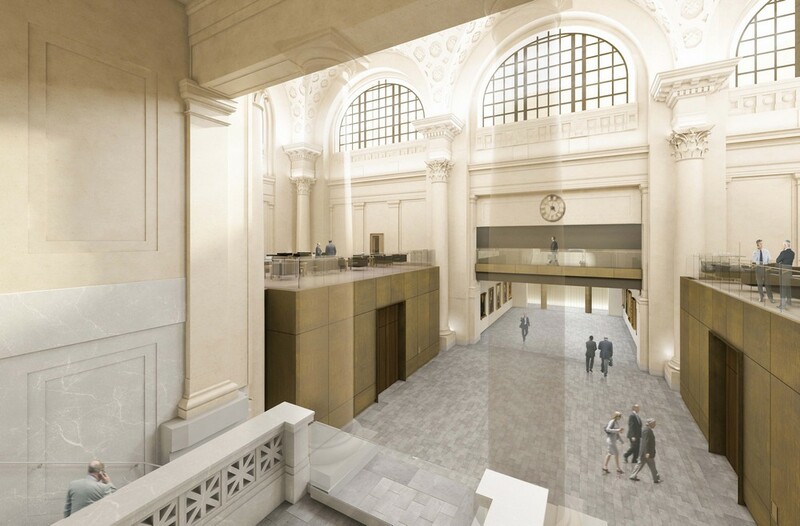 The Senate will occupy the building for ten years during restoration of Centre Block on Parliament Hill, after which the building is designed to accommodate conference and office use. This transformation secures the future of a legendary building in the heart of the nation’s capital. 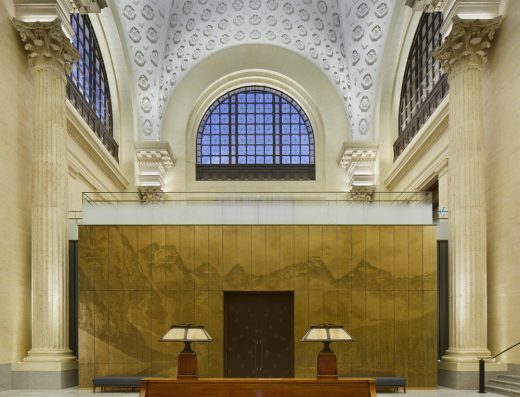 Diamond Schmitt Architects (www.dsai.ca) has offices in Toronto, Vancouver and New York City. 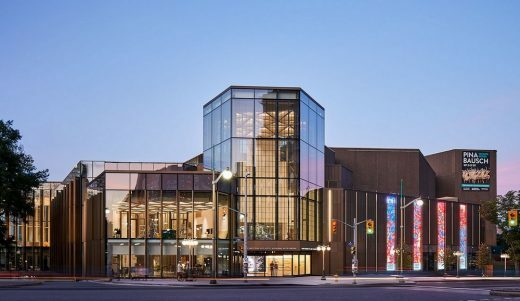 The firm’s extensive portfolio includes performing arts centres, post-secondary facilities, and residential, institutional and commercial buildings. Current projects include Ottawa’s new central library and Library and Archives Canada joint facility; Robarts Common at the University of Toronto, and Buddy Holly Hall of Performing Arts & Sciences in Texas.